Come and play on the inflatable water toys at BSC AWC. Crawl, climb, jump and enjoy. For children ages 6+. 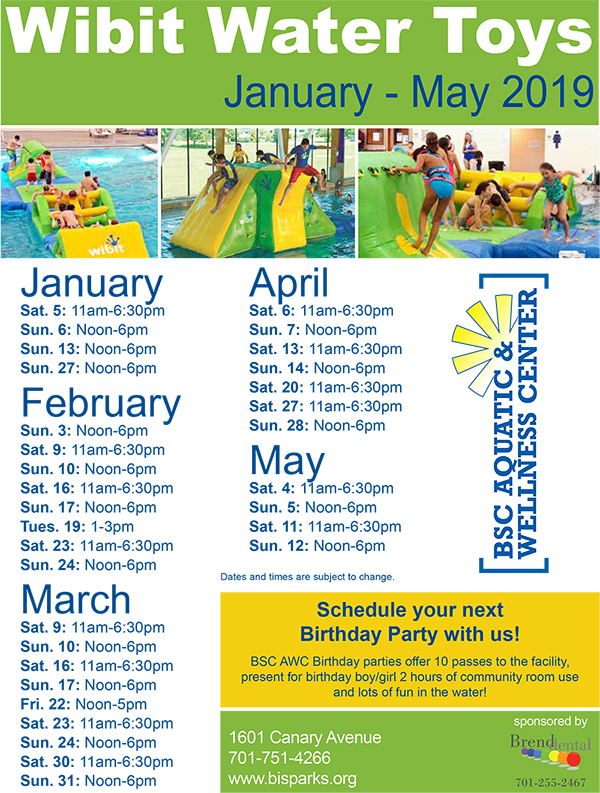 Capital Racquet & Fitness Center or BSC Aquatic & Wellness Center Members: Free. Non-Members: daily admission rate. Click to view pool rules. Wibits Water Toys have been cancelled for Friday, March 22.